Both goalscorers, Ben Pope & Brian Galach in action. 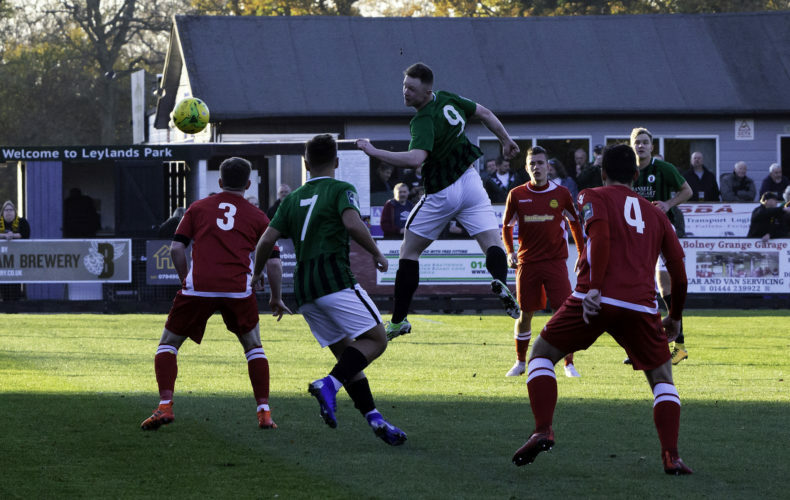 A dominant performance saw the Hillians progress into the Quarter-Finals of the Velocity Trophy. Simon Wormull named a strong XI to take on the Kent outfit, making only five changes to the side who lost to Corinthian-Casuals on Saturday. 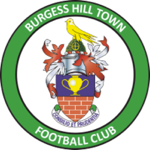 The Hillians started the game brightly, with Andre McCollin and debutant, Farrell Ryder causing Hythe problems. In the 19th minute, Ben Pope opened the scoring for the Hillians as Billy Barker’s jinking run and cross found Ryder, who squared the ball for Pope to tuck home. Just 6 minutes later, the hosts were reduced to ten men, as, last man, James Nurden saw a straight red for his pull on McCollin. Simon Wormull was forced into a change in the 38th minute, as Billy Barker was replaced by Boris Kipeya-Bonno. The Hillians continued to dominate possession for the remainder of the half, using the extra man to our advantage. The hosts started the second half well considering the Hillians’ numerical advantage. But it didn’t take Wormull’s men long to regain control of the game. Charlie Bennett and Aaron Smith-Joseph were introduced for renewed pace and energy, and the Hillians reaped the rewards just minutes later. In the 65th minute, Crawley Town loanee, Brian Galach opened his account for the club with a neat finish. 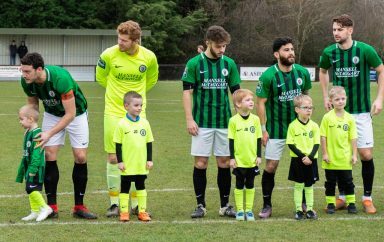 Hythe’s attempts to get back into the game were dealt with comfortably with the centre-half pairing of Richmond and Diallo – as the Hillians held out. We progress into the Quarter-Finals of the Velocity Trophy, where we will travel to Enfield Town. 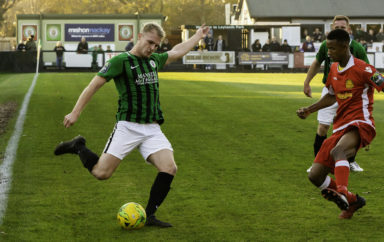 The Hillians MOTM was awarded to Tom Cadman, who defended resolutely throughout the ninety whilst providing an excellent attacking outlet down the left hand side. Next up, it’s back to Bostik Premier League action, and a trip to Essex!